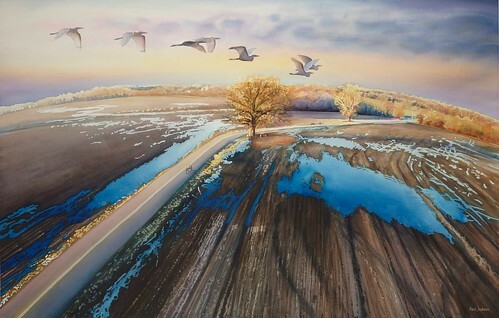 Featuring "McBaine Bur Oak—Sunset" by Fulton artist Brian Mahieu and a live auction with works by an impressive list of Missouri River valley artists. 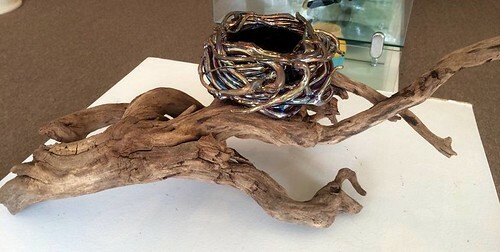 7:45-9 p.m. - Live Auction of works by other Missouri River valley artists. 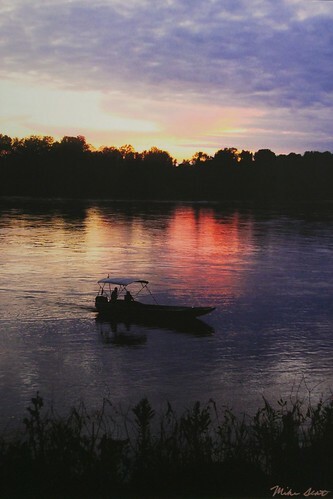 Missouri River Relief will be sharing the proceeds with the artists. 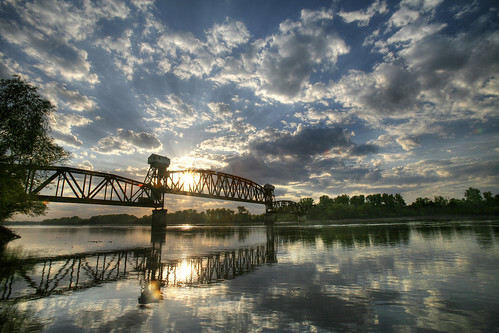 This benefit art auction will support an expansion of Missouri River Relief's education partnership with Columbia Public Schools, organizing on-the-river workshops with teachers, a summer river excursion with students and an after-school program in five Columbia schools this fall called "Missouri River All-Stars". Auction is open...you can bid now! The signature piece of the Big Muddy Art Auction is a plein-air oil painting of the state champion McBaine Bur Oak tree by Fulton artist Brian Mahieu (pictured above). 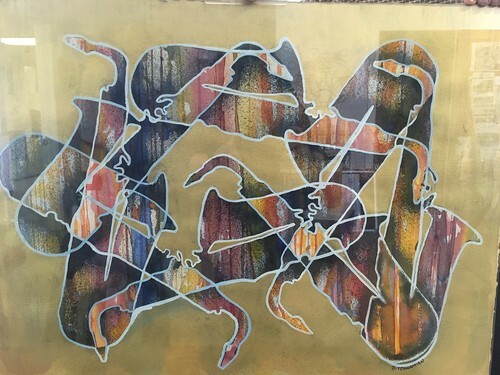 This painting will be auctioned in a "sealed bid" process. Interested buyers can submit a bid here, at Orr Street Studios where the painting is now on display, or the evening of the event. Check out this great little video showing Brian working on this piece. How does a sealed bid auction work? 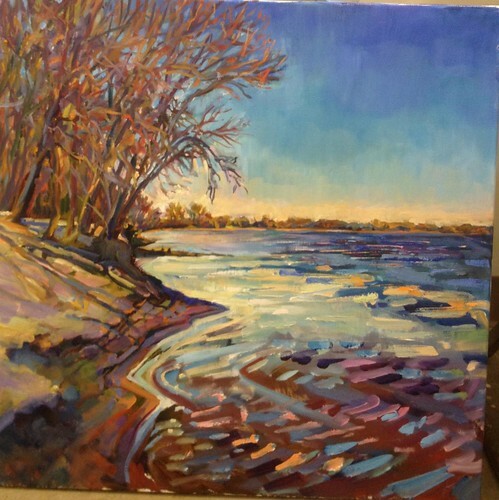 Additional works by a impressive list of Missouri River Valley artists will be auctioned in a live bid auction March 12, 2016, from 7-9 at Orr Street Studios. Here are our submissions, in order of confirmation. Bryan Haynes - "Magnificent Missouri"
See more of Bryan's work here. 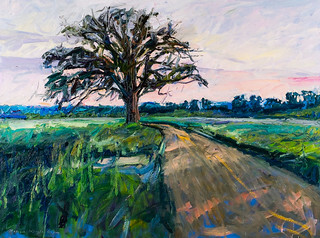 Jane Mudd - "View at Mokane Access"
Plein air oil painting on canvas. 22"x22". Value $500. See more of Jane's work here. 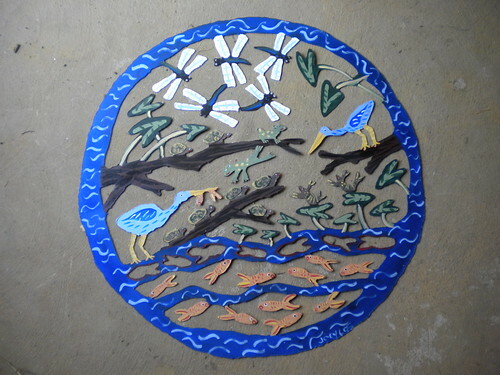 Read this wonderful article about Jane in the "Missouri Conservationist"
Paul Jackson - "The Gathering Tree"
Lance Stroheker - "New Life Along the River"
View more works from the Astral Glass Studio in New Haven, MO, here. 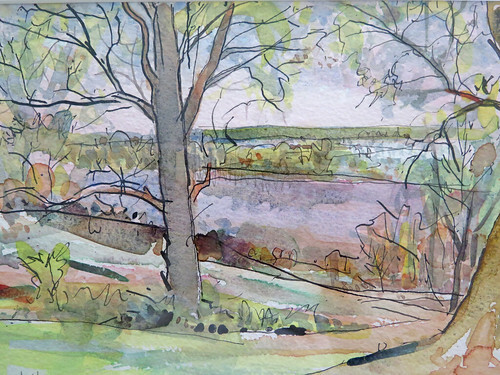 Frank Stack - "Missouri River at Boonville"
See more of Frank's work here. Read a recent article about Franks's impact on Missouri art. Notley Hawkins - "Katy Bridge"
See more of Notley's work here. 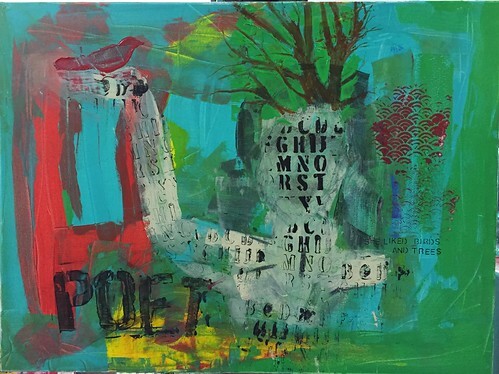 Lisa Bartlett - "The Poet"
acrylic on canvas - 30"x40". Value=$400. Joey Los - "Water Story"
See more of Joey's work here. 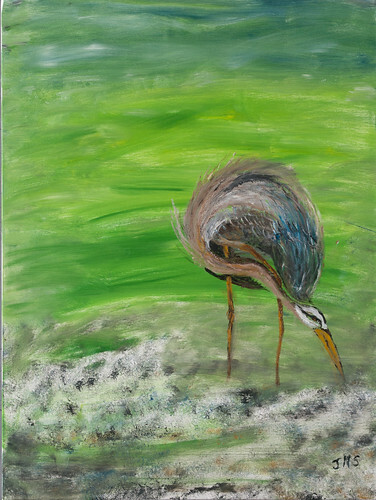 Leslie McCullough-Payne - "Brand New Day - Sunrise in the Wetland"
Charles Stegner - "River Road"
Jean Sax - "Our Blue Heron"
See more of Jean's work here. 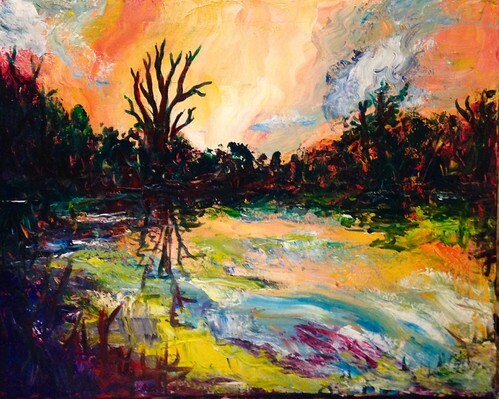 Mike Seat - "Sunset at Cooper's Landing"
See more of Mike's work here. 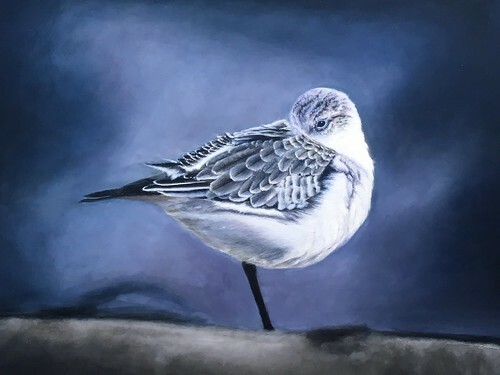 Marie-Josee Brown - "Migrating Sanderling"
See more of Marie-Josee's work here. 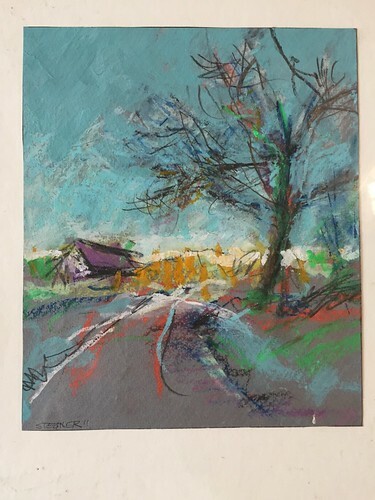 Video of Brian Mahieu painting "McBaine Bur Oak - Sunset"
Submit Sealed Bid for "McBaine Bur Oak - Sunset"
Check out this beautiful little film showing Brian Mahieu painting this featured painting of the McBaine Bur Oak. Produced by Beth Pike and Steve Hudnell of Orr Street Productions for the Mo. Dept. of Conservation. Thank you all so much for your vision, talent and generosity!